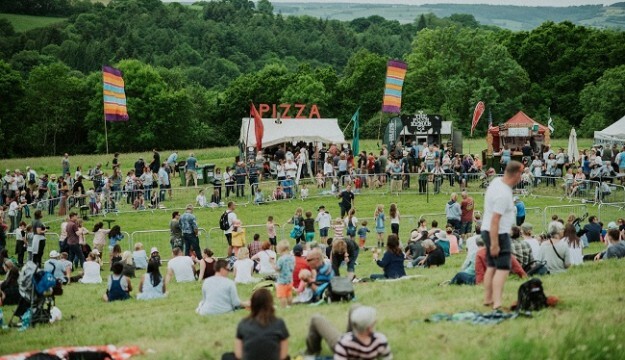 The Festival provides a unique opportunity for visitors to immerse themselves in all of the delights River Cottage has to offer and even camp onsite at the famous farm. The jam-packed programme of events includes food masterclasses, live music and family-friendly festival fun. Hugh will be around over the weekend, taking part in demonstrations and meeting visitors. He will be joined by River Cottage regulars, Steven Lamb and forager John Wright. There will also be talks and demonstrations from guest chefs including Bake Off star Chetna Makan, activist Satish Kumar, author and CEO of Compassion in World Farming Philip Lymbury, author and Chef Clodagh McKenna and Jessica Seaton, founder of Toast and author of Gather, Cook, Feast. 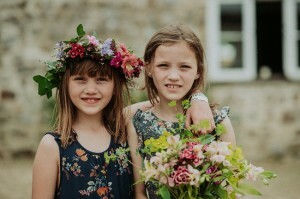 Over the Festival weekend, in addition to the cookery masterclasses River Cottage will be hosting a broad range of workshops for visitors to take part in, including bush craft, jewellery and pottery. There will be a dedicated baby tent offering baby massage sessions, yoga classes for adults and children, a games area, circus performance and workshops for the whole family from Swamp Circus. This year the Festival will be sponsored by Pukka who will be offering their expertise on herbal wellbeing as well as giving away free Pukka tea tasters at Herbie, the herbal airstream. Visitors can see behind the scenes at River Cottage HQ andenjoy a sit-down meal in a pop up restaurant, located in the farmhouse itself, with menus featuring delicious dishes designed using fresh, seasonal ingredients from the kitchen garden. River Cottage street food will join forces with local producers to make sure no-one goes hungry as they enjoy the festivities. As well as delicious dishes from the street food stands, there will also be a fully licensed bar serving local ciders, beers and wines. Enjoy exciting cocktails in the Cocktail Yurt or take part in a wild cocktail masterclasses. 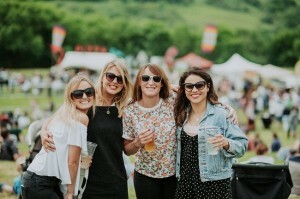 Festival Gig Nights will ensure the evenings at the River Cottage Festival are unforgettable, with a wealth of brilliant musicians on the line-up. On the Saturday, Sound of the Sirens will headline: a foot stomping, tear jerking, crowd engaging female folk/rock duo, championed by BBC Radio 2’s Chris Evans. On the Sunday evening Mr Tea and the Minions will be taking to the stage, so pull on your wellies and dance with this Glastonbury stalwart. With a friendly party atmosphere, the whole family is welcome to stay the weekend at the River Cottage Farm, nestled in the gorgeous East Devon countryside. The grounds are open to campers, either to bring their own tent or to enjoy a glamping experience by booking a stay in a gorgeous Honeybell’s luxury bell tent.